Here are the celebrities with ownership in sports teams over the years. Los Angeles Football Club introduced the actor/comedian as one of the part owners of the MLS franchise on Jan. 7, 2016. 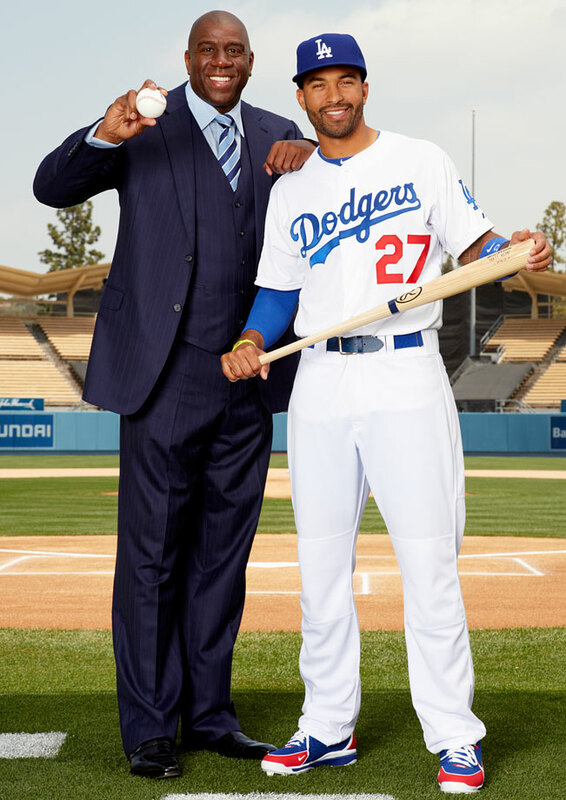 The 26-person ownership group features several former athletes including Nomar Garciaparra and his wife, Mia Hamm, and Magic Johnson. 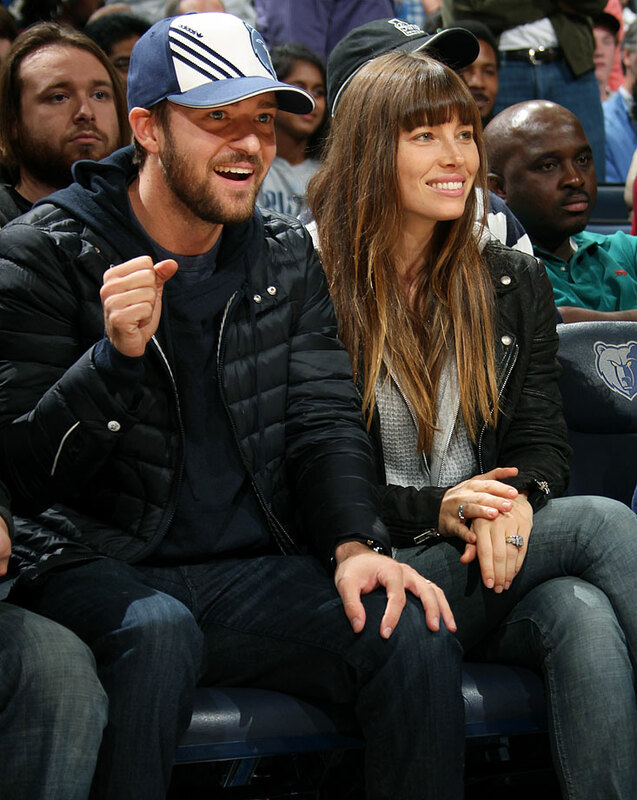 Memphis Grizzlies minority owner Justin Timberlake made his season debut during the Grizzlies game against the Los Angeles Lakers at FedExForum in Memphis on Nov. 23, 2012. He joined the Grizzlies at their shootaround, then spent the first half of the game at mid-court with his wife, Jessica Biel. Wearing a blue and white Memphis hat, Timberlake stood up after the first quarter and danced along with the Grizzlies' Grannies and Grandpas, though he stayed at his seat. Timberlake and Biel moved up to one of the lower-level suites for the second half, but stuck around for the whole game. 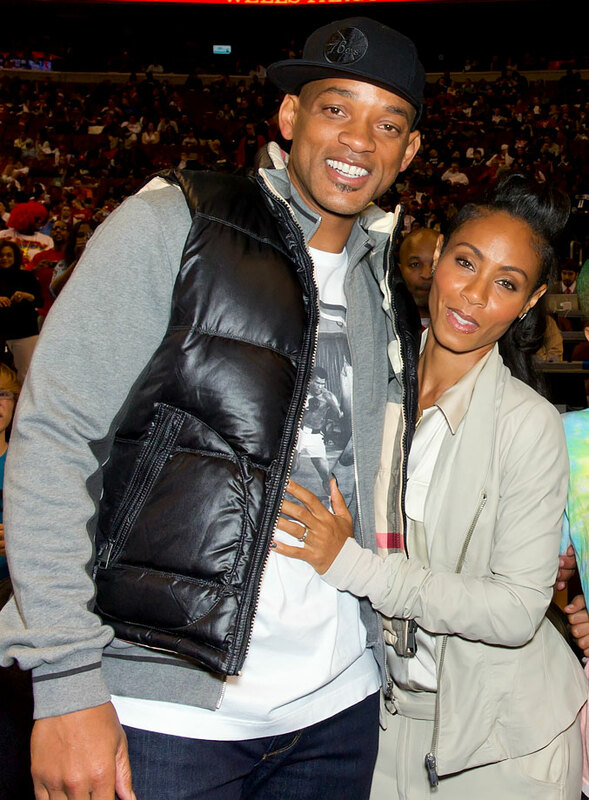 In 2011, Philly native Will Smith and his wife Jada Pinkett Smith bought a minority stake in the Philadelphia 76ers. 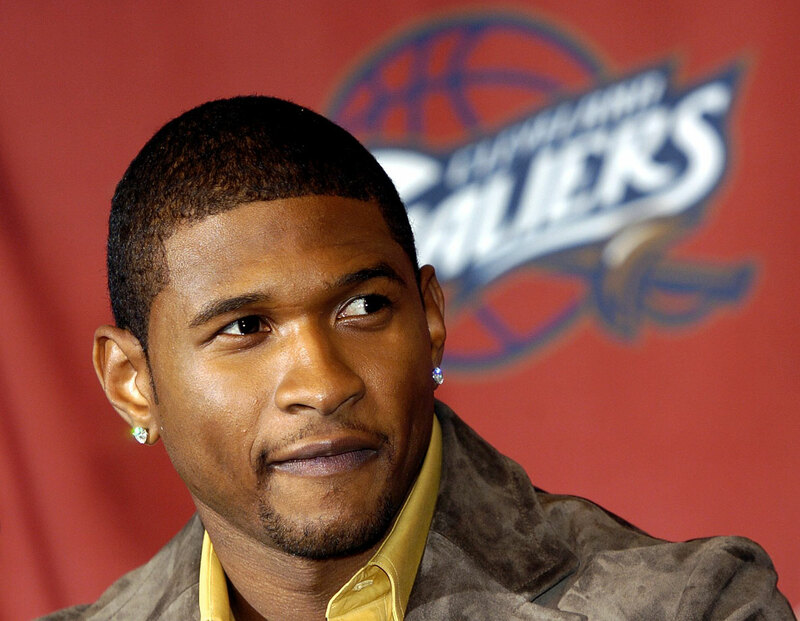 Usher joined an investor group headed by Dan Gilbert, chairman and founder of Quicken Loans, in purchasing the Cleveland Cavaliers for $375 million in 2005. Gilbert said Usher's role would focus on improving the entertainment side of events at the arena. 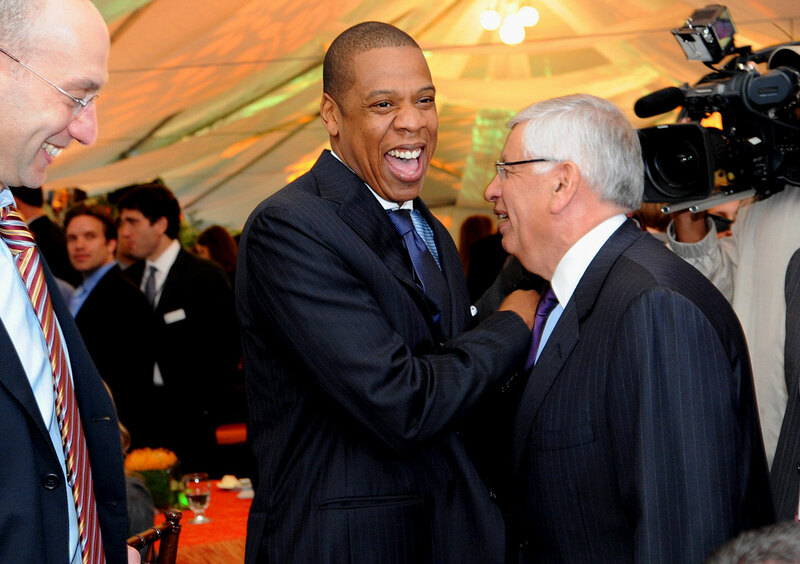 Jay-Z joined an ownership group which bought the New Jersey Nets for $300 million in 2004. The group, led by Brooklyn developer Bruce Ratner, moved the team from the Izod Center in East Rutherford, N.J., to a new arena in co-owner Jay-Z's home borough of Brooklyn. On April 18, 2013, Jay-Z officially announced he would be relinquishing his ownership in the Brooklyn Nets in order to launch his own sports agency, Roc Nation. The "Rapper/NBA team co-owner" trend caught fire in 2004. 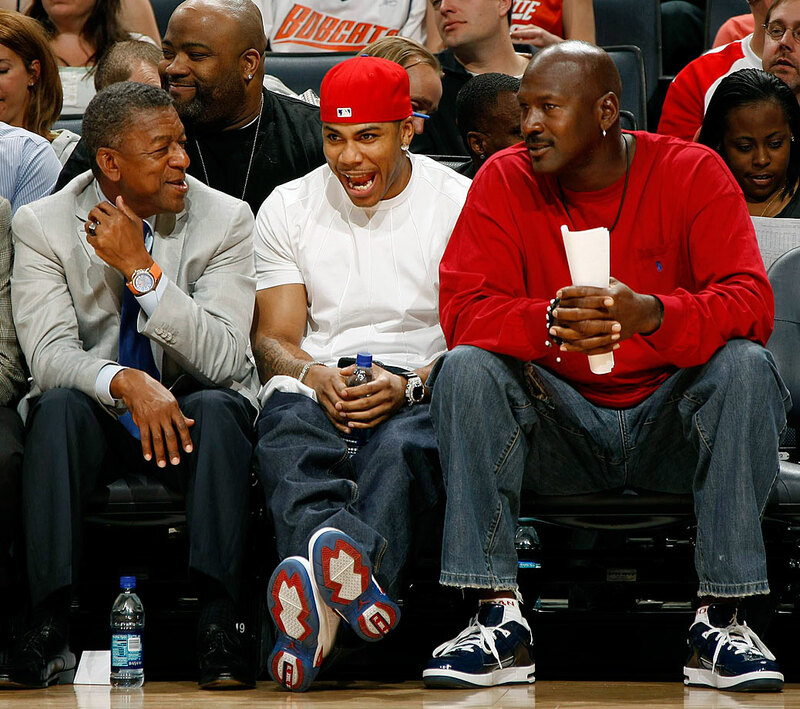 Soon after Jay-Z purchased a stake in the Nets, rapper Nelly joined the ownership group of Bobcats Basketball Holdings, LLC, which owned and operated the Charlotte Bobcats until Michael Jordan became the new owner in March 2010. 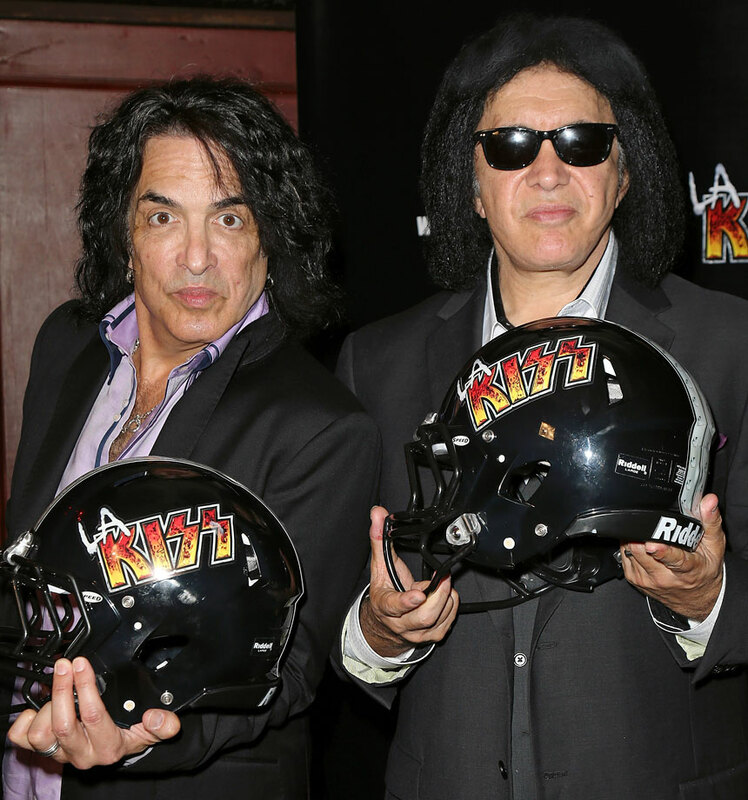 KISS band members Gene Simmons and Paul Stanley are part owners of a Los Angeles-area expansion team in the Arena Football League. The LA KISS began playing their games in Anaheim's Honda Center in April 2014. Simmons and Stanley reportedly became interested in an AFL franchise when league officials began talks with the band to perform at ArenaBowl XXVI, the league's championship game played in Orlando on Aug. 16, 2013. 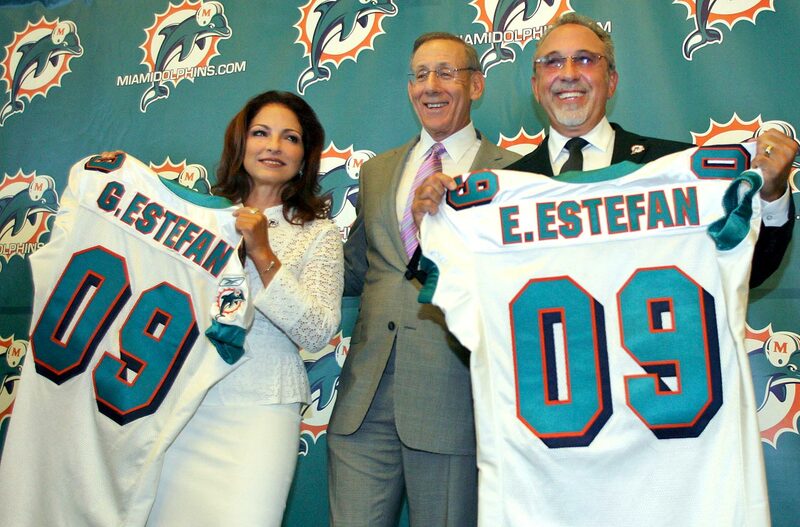 Estefan, a Miami native, announced in June 2009 that she was purchasing a minority stake in the Miami Dolphins (along with her husband, Emilio). Chairman Stephen Ross owns about 95% of the team. In July 2009, Marc Anthony and J-Lo also bought a small stake in the Miami Dolphins, while the two were still married. Anthony still retains his ownership. The Williams sisters became limited ownership partners of the Miami Dolphins as well in Aug. 2009. Black Eyed Peas singer Fergie became a minority owner of the Miami Dolphins in Oct. 2009. 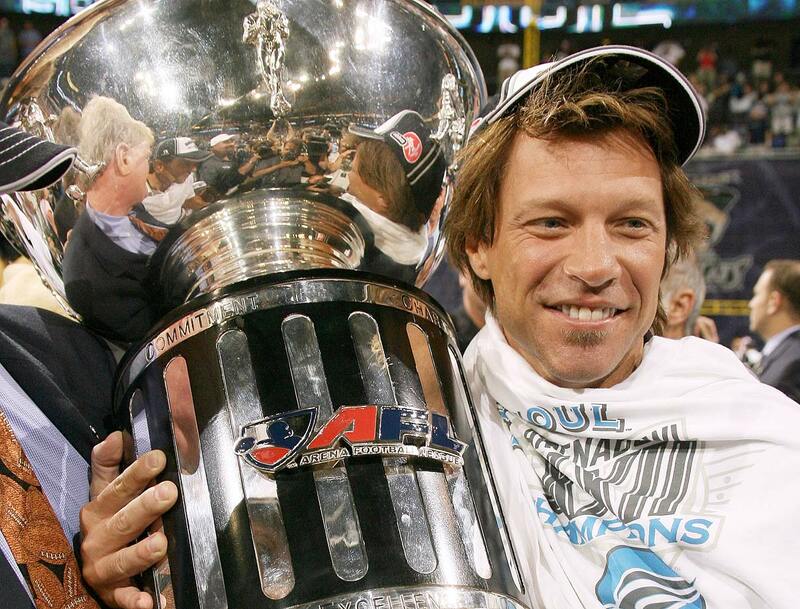 In 2004, Jon Bon Jovi paid a reported $8 million to cover half of the start-up costs for AFL's Philadelphia Soul. The Soul won the league championship in 2008. 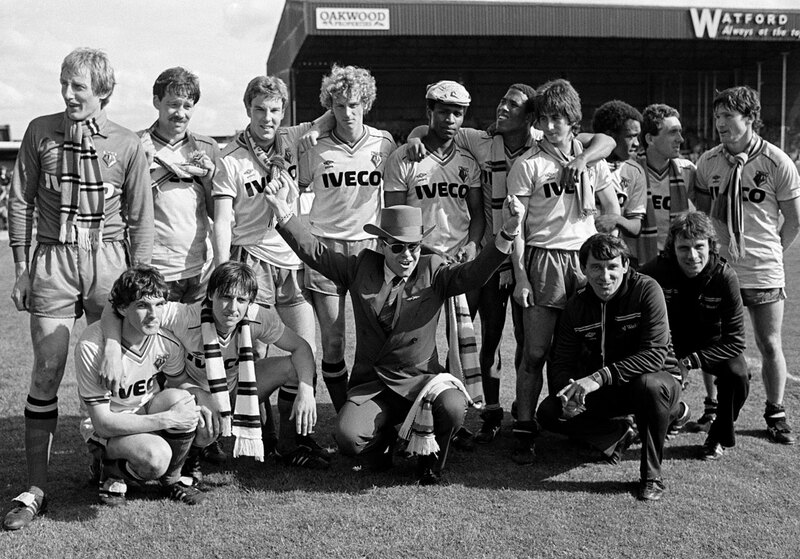 Though Elton John made his reputation as one of the best performers of all time, his first love remains soccer. He pledges allegiance to one club, Watford F.C., and bought an ownership stake in the club in 1976, then selling it nearly 30 years later. He currently holds the position of Watford's "Honorary Life President." Hope, a lifelong golf lover who once putted against a 2-year-old Tiger Woods on "The Mike Douglas Show," moved to Cleveland at the age of 5 and was a die-hard Indians fan. 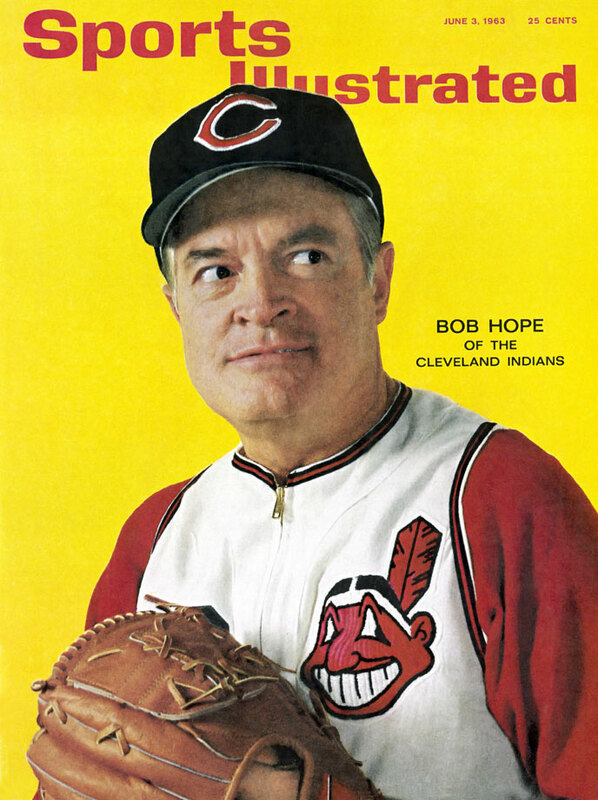 He became a minority owner of the Cleveland Indians after Bill Veeck acquired the team in 1946 and graced the June 1963 SI cover in an Indians uniform. In 2006, Crowe and businessman Peter Holmes a Court purchased a struggling National Rugby League team, the South Sydney Rabbitohs, for $3 million. Despite improving on the field, the franchise lost $4.2 million in 2007. With the team in last place in 2008 and reports of a disintegrating relationship, Crowe forced chairman and co-owner Holmes a Court to step down. In 1997, Letterman purchased a small share of former Indianapolis 500 winner Bobby Rahal's racing team. The team changed its name to Rahal Letterman Racing in 2004. 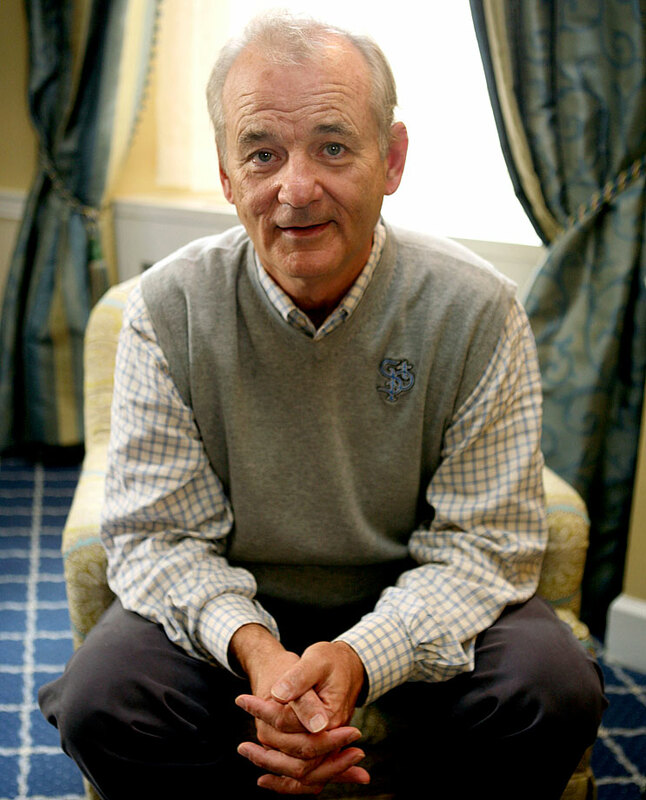 Murray, a lifelong Chicago Cubs fan, is minority owner of the St. Paul Saints in the American Association of Independent Professional Baseball. 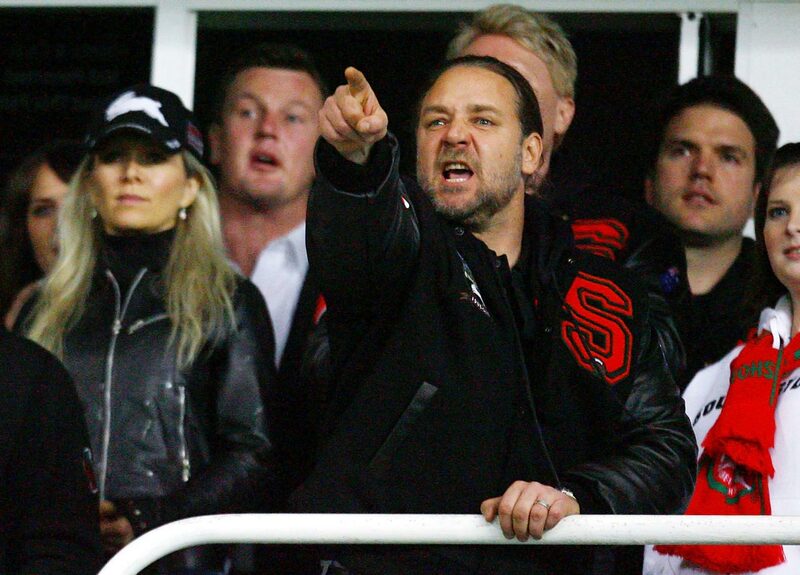 Unlike other owners, however, the actor doesn't just sit in the owner's box and watch the action. He has also performed a number of tasks for the team over the years, including selling programs, coaching first base and, according to the Saints' Web site, also serving as "Team Psychologist." 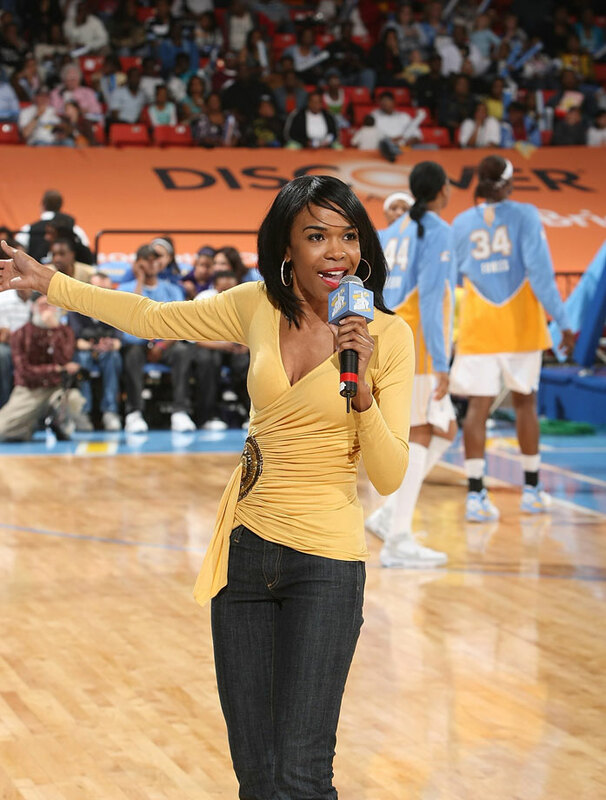 Michelle Williams, along with her former Destiny's Child manager Matthew Knowles (Beyonce's father), became minority owners of the WNBA's Chicago Sky back in 2006. 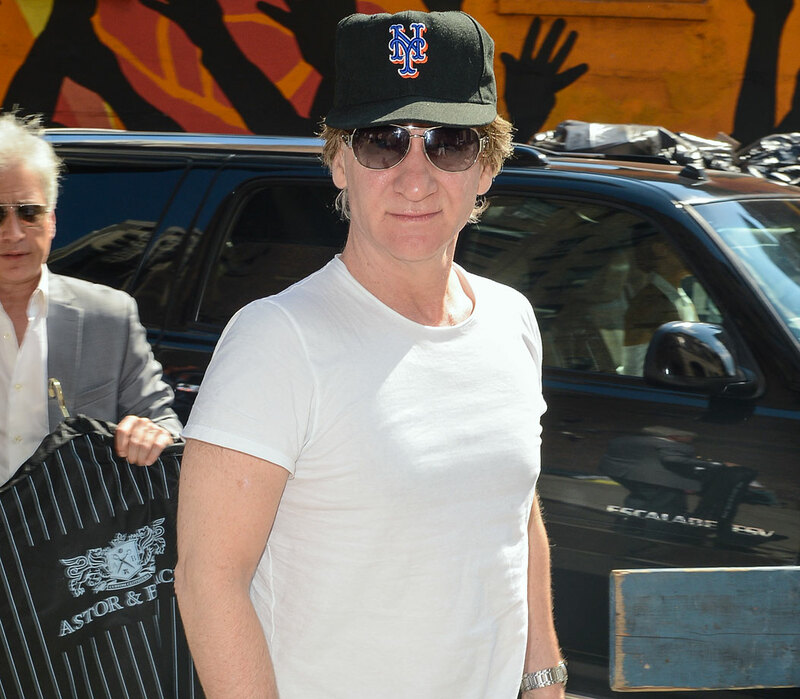 Comedian Bill Maher acquired a minority stake in the New York Mets in June 2012. It's unknown whether he bought a full $20 million share or chipped in with others to buy one. Reynolds was one of Hollywood's top actors when he took on a stake as minority owner of the USFL's Tampa Bay Bandits in 1982. 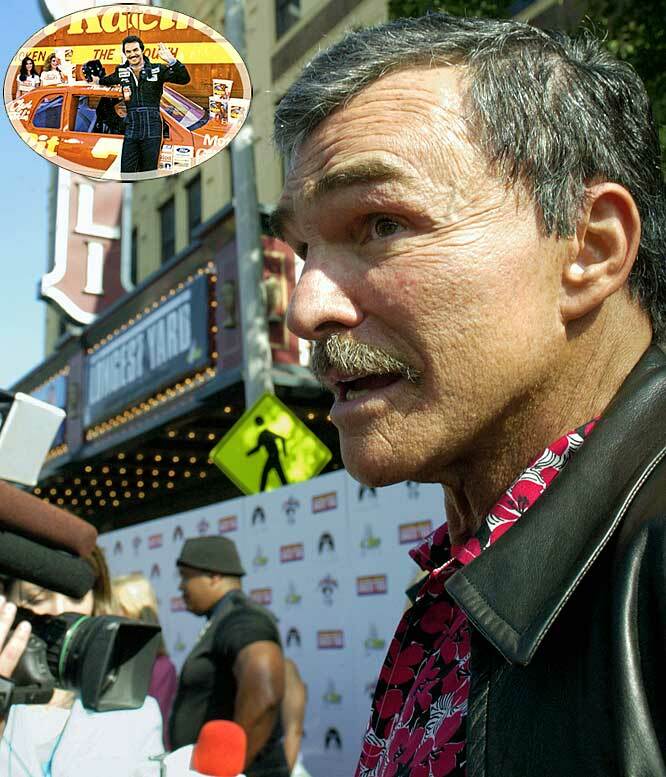 The team's name was inspired by one of Reynolds' most popular movies, Smokey and the Bandit . The team folded (along with the league) three years later. Reynolds also co-owned a NASCAR Winston Cup team with Hal Needham, which ran the No. 33 Skoal Bandits car with driver Harry Gant. 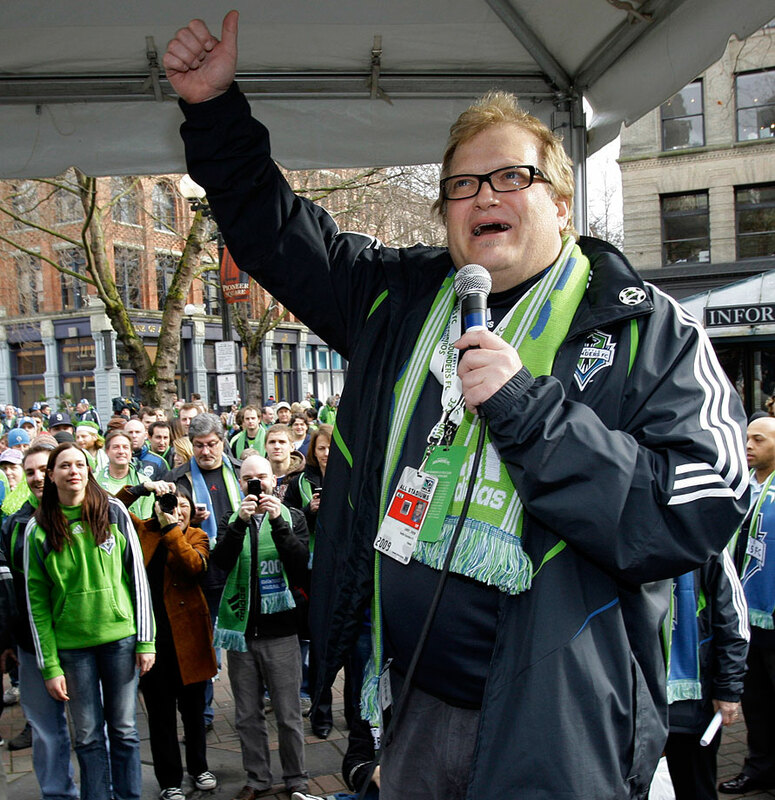 Though he swears allegiance to his hometown, Cleveland, Carey became minority owner of the MLS expansion Seattle Sounders in 2007. The host of "The Price Is Right" shares ownership of the team with Hollywood producer Joe Roth, Seattle businessman Adrian Hanauer and Microsoft co-founder Paul Allen. 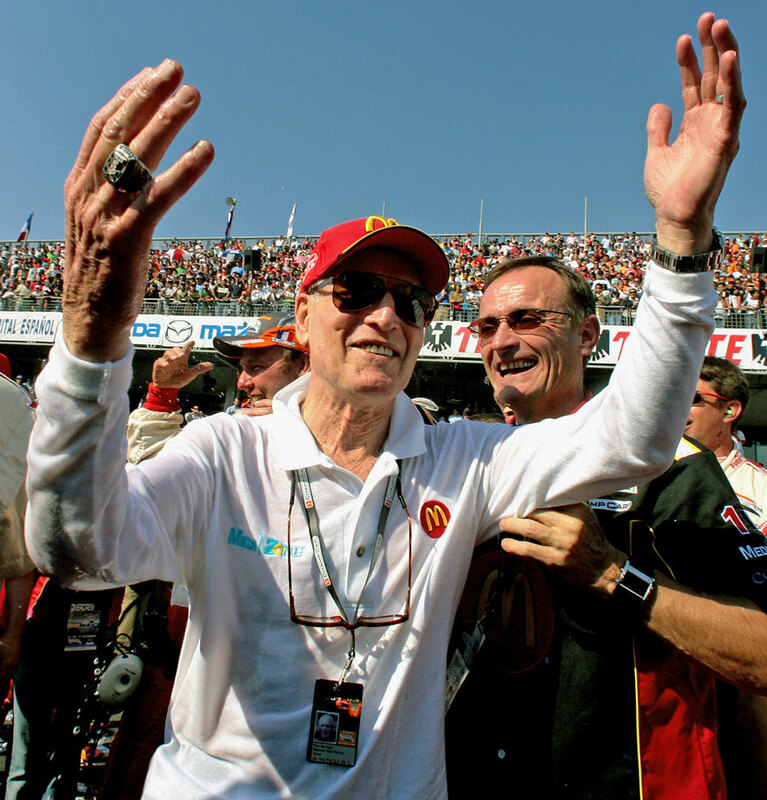 Paul Newman developed a passion for racing during filming of his 1969 film "Winning." He became a successful driver on both the amateur and pro circuits, and in 1983, added team owner to his resume. 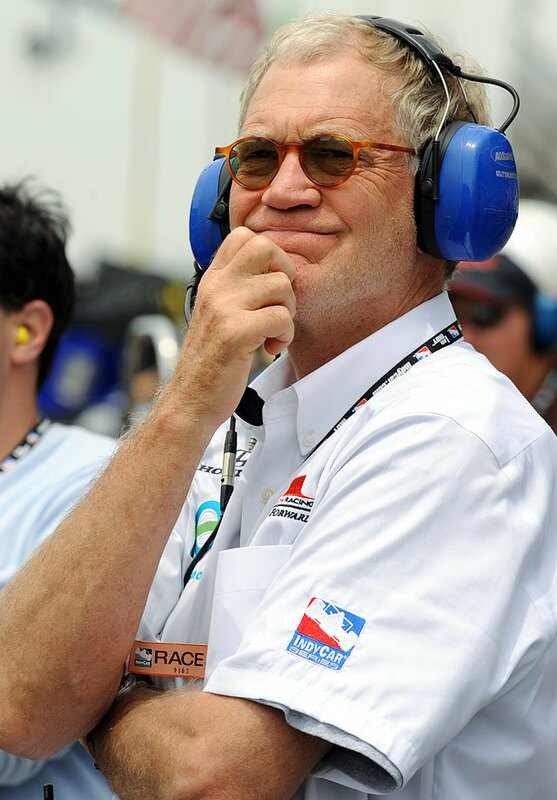 Newman paired with Carl Haas to form Newman-Haas racing, which has won eight series championships to date. 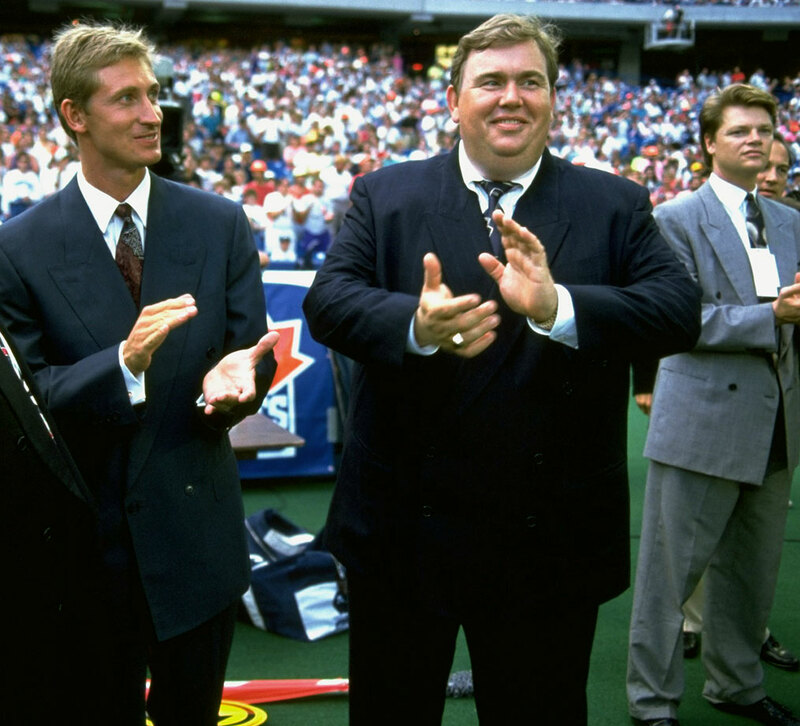 Canadian comedian John Candy became a part owner of the Toronto Argonauts in 1991, alongside hockey great Wayne Gretzky and sports executive Bruce McNall. The trio of owners led the Argonauts through a stellar season and to the 1991 Grey Cup. 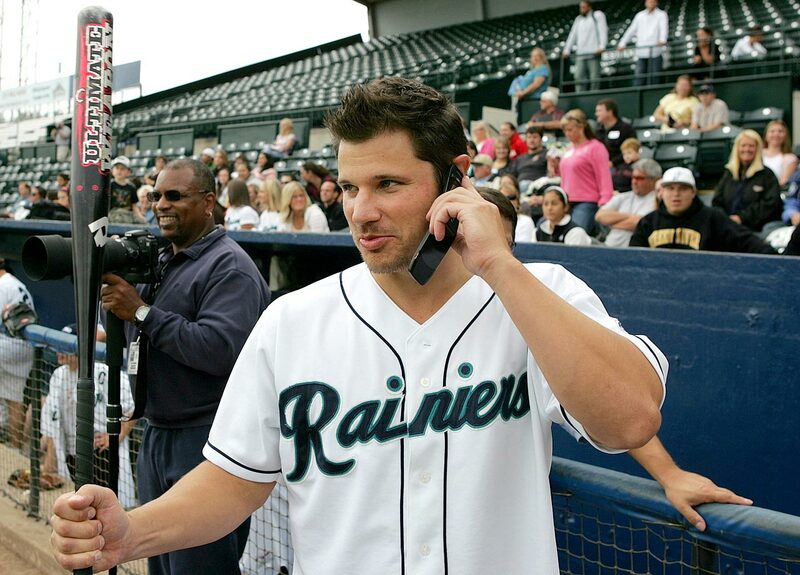 An avid sports fan, Lachey bought one third of the Tacoma Rainiers, the Triple-A affiliate of the Seattle Mariners, in 2006. Lachey had unsuccessfully attempted to become a part owner of his hometown Cincinnati Reds a few years prior. 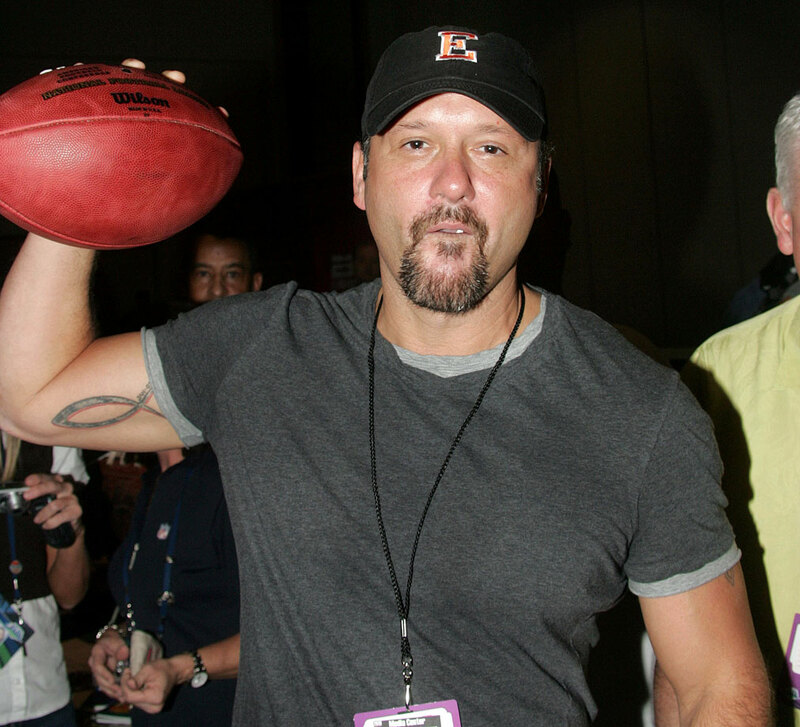 McGraw, a high school football player, became a minority owner of the newly returned Nashville Kats in 2005. The Arena Football League franchise had moved to Atlanta in 2001 but the ownership group McGraw was a part of helped enable its return. The team's re-emergence was short-lived, however, in October 2007, the franchise was shut down by Tennessee Titans owner Bud Adams for financial reasons. A talented hardballer who once declined an offer to play in the minors, Autry was minority owner of the 1950s minor-league Hollywood Stars. When Major League Baseball announced its plans to add an expansion team in L.A., the "Singing Cowboy" jumped at the opportunity to own radio-broadcast rights to the team's games. 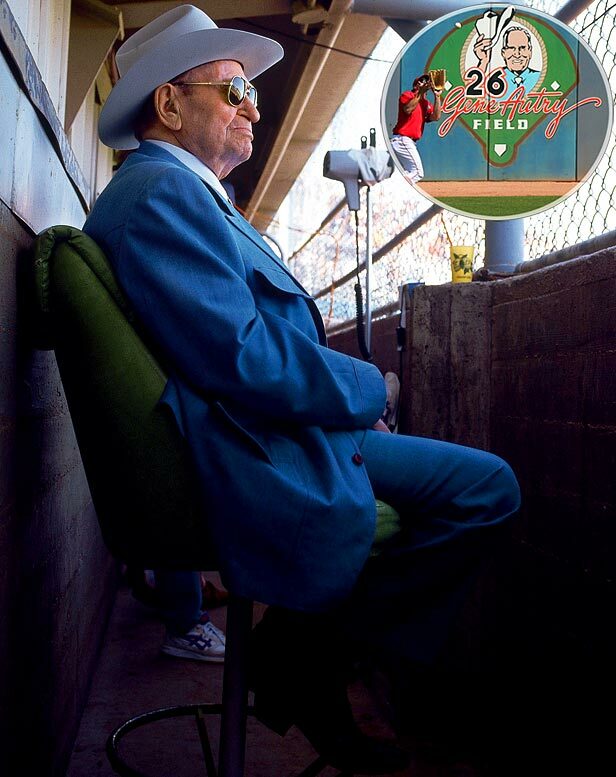 Autry's savvy business tactics caught the eyes of MLB executives, who persuaded him to become the first majority owner of the franchise that would eventually be known as the Los Angeles Angels of Anaheim. 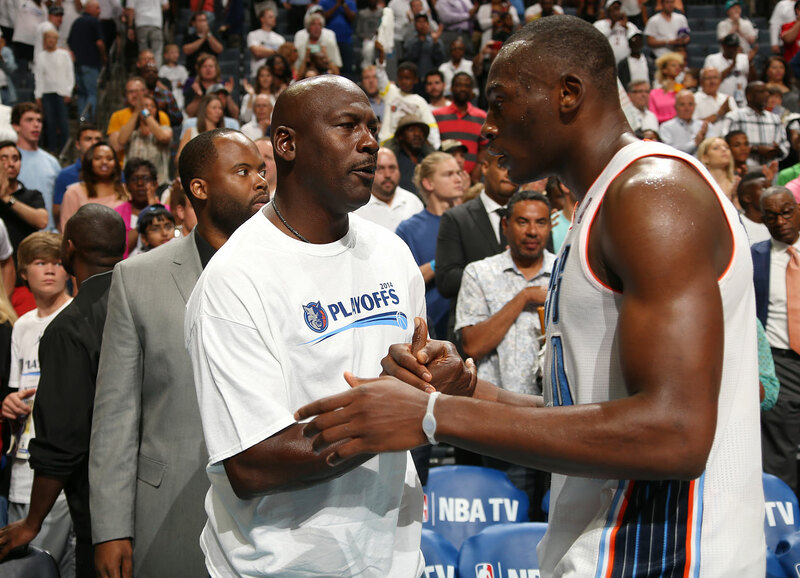 MJ bought a minority stake in the Charlotte Bobcats in June 2006 and purchased a majority share of the team in 2010. On May 21, 2013, Jordan filed papers to change the Bobcats' name to the Hornets, after the name became available when the original Hornets, who had moved to New Orleans in 2002, changed their name to the Pelicans for the 2013-14 season. Former Los Angeles Dodgers owner Frank McCourt announced an agreement on March 27, 2012, to sell the bankrupt team for $2 billion to a group that included former Lakers star Magic Johnson. In 1989, shortly after helping his father win the presidency, the future 43rd president purchased a share of the Texas Rangers. 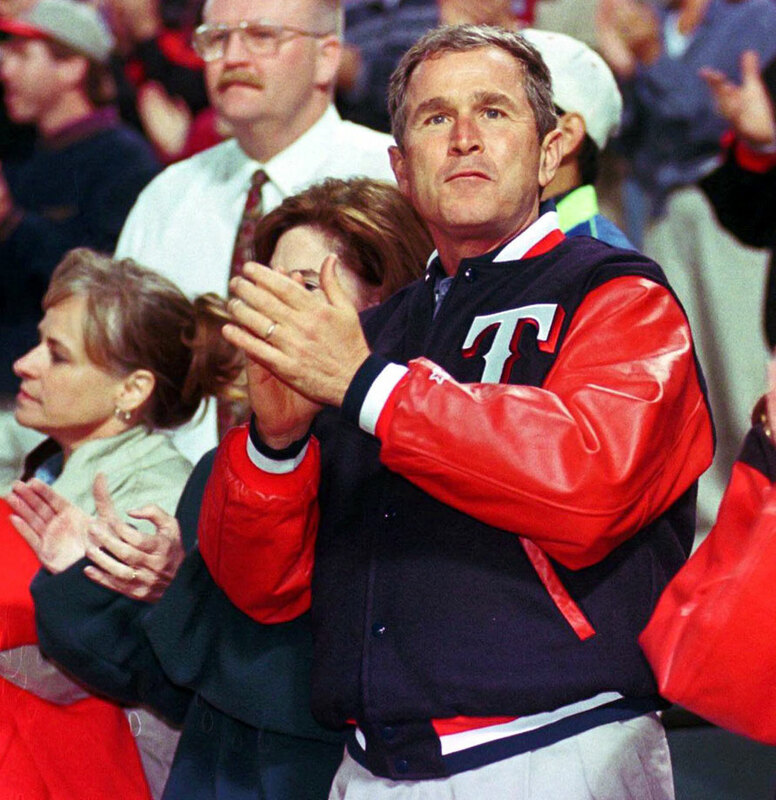 He was not a silent owner; Bush served as managing general partner for five years and regularly attended games in the stands with fellow fans. He sold his share in 1998 for more than $15 million -- a nice payout on his initial $800,000 investment. Turner is best known for leading the Tomahawk chop with his then-wife, Jane Fonda, during the Atlanta Braves' playoff runs in the 1990s. 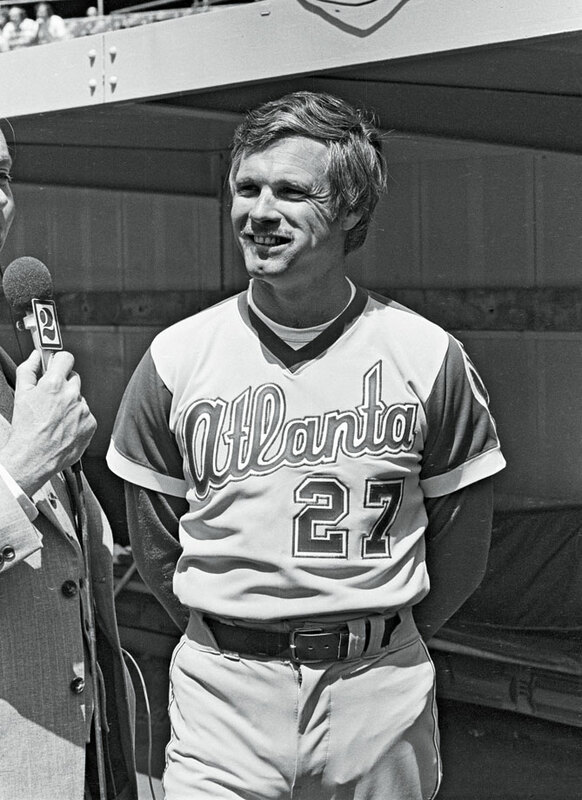 But he has been an active participant with the team since purchasing it in 1976 and even managed the Braves for a game in 1977. Turner also owned the Atlanta Hawks from 1976 to 2004 and also was owner and skipper of the yacht Courageous, which won the 1977 America's Cup.